Can you relate to this as a parent? Well, for starters, there’s nothing to worry. We’ll explain why this happens and how you can turn your child into an active listener! Only what they think is relevant to their preferences, matters! And we really can’t blame them! Children are filled with energy and are constantly taking in a lot of information. But it’s important to cultivate active listening skills in children from as young an age as possible. 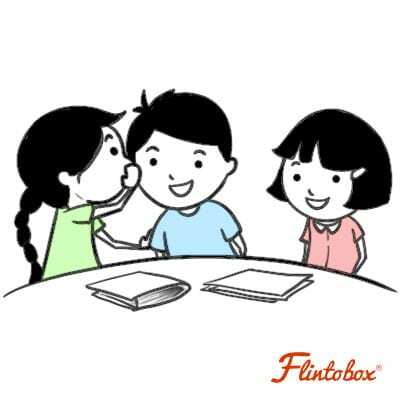 This will facilitate good communication skills as the child grows up. It’s important for you to treat your child with the same respect that you would want to be treated with. When your child is talking to you or telling you something, no matter how irrelevant, make sure to respond or react to it. It also helps to maintain eye-contact and repeat everything your child tells you, to them, to express that you’ve fully understood what he or she is trying to say. It’s also important for you to model positive listening skills / behaviour with other people too, especially when your kids are around. Kids learn by imitating adult behaviour, so respond to anything anyone says the way you would want your kid to respond to you. Whether you’re cooking in the kitchen or working on your computer, tell your child what you’re doing in a way that they would understand. 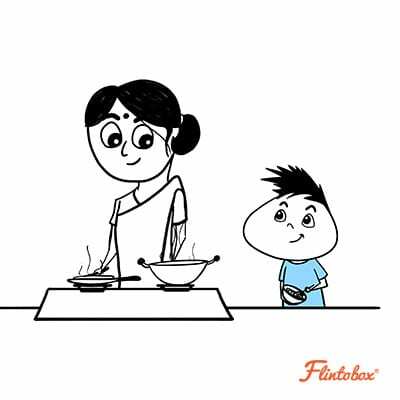 Narrate to them the steps you’re doing while you’re cooking. Tell them about that work project you have (in simple terms, of course). Tell them about a conversation you had that day, or about any events during your day. Then proceed to ask your child about their day and get them to describe the events that took place. It’s very important to hold your child’s attention by not over-explaining anything to them. Be short and crisp in telling what’s expected of them or in giving them duties to fulfill. If you’re giving your child a set of tasks to do, ask them to repeat everything you’ve said to ensure that they’ve listened to and understood everything. Make sure to communicate with your child on a regular, casual basis by asking them about recent events, friendships, and their interests. Just talk to them like you would to a friend. Make sure any communication gap is bridged and give them the opportunity to do just that. Ask your child which book they want to read, what game they feel like playing, what clothes they feel like wearing, etc. Try to avoid ordering them around and try to kindly imply something. For example, when you want them to wash their hands before eating and they just won’t listen, tell them to read up on germs, infections, and how they spread. You could also suggest a few points as to how hand washing prevents these infections. If you are following all of these tips while making sure you’re talking to your child, keeping their cognitive and understanding ability in mind, and your child’s hearing ability is sound, they should listen to you. If they still don’t listen to or comply with the things you tell them, it could be a sign of disrespect. In this case, it’s important for you to address the problem with your child and explain the individual consequences of them not adhering to any specific task you give them. They could also do with some listening skills practice. To establish effective listening skills in your child, you need to provide listening cues that your child would be interested in listening to. 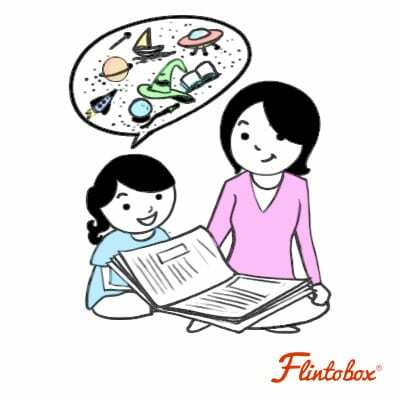 For example, get audiobooks that your child can listen to while following the physical copy. You can also listen to the books together, pause in between and ask your child to sum up the events that took place until that point. You can also make your child listen to rhymes and music that give action/dancing commands that your child will have to follow (the ‘boogie-woogie’ rhyme would be an example of this). When you’re reading to your child make the storytelling a two-way process. Pause during the story and ask your child to guess what happens next. You can also ask the child what they liked most in the story up to that point, what they would change about the story if they had a chance to, and how they expect the story to end before reading the ending to them. Once they’re familiar with a story, you can re-read it to them later in the future and make a game out of it. Do this by reading a few parts of the story wrong on purpose and ask your child to indicate every time you make a mistake and to correct you. Games such as ‘Story Chain’ where a group of people sit around in a circle and have to continue the story from where the previous person left it off, with each person contributing a sentence, can really help your child to listen, comprehend, and respond. ‘Simon Says’ is another game which would involve you giving commands to your child and your child would have to listen with keen attention. The important thing with any of these games is to encourage the listen and respond action in your children. There are a ton of other such games you can play with your child, like telling them a colour and asking them to name or touch objects around them that are of that colour. You could also be creative and come up with your very own games. 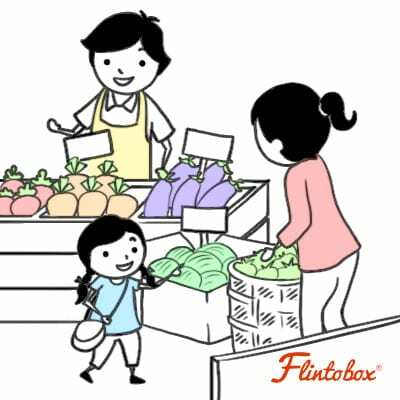 You can cook (make salads if your child isn’t old enough to cook), bake, or garden with your child while simply giving them verbal instructions on what to do and how to do it. This can be applied to activities like sewing or teaching a sport, as well. Your child will have to listen to and follow your instructions in order to get something right, and so they will. Any form of theatre where the child has to learn the storyline and dialogues of any story that they like, complete with costumes and props, will encourage them to learn, react, listen, and respond. You could also watch children’s television shows or programs on the internet that involve viewer participation and urge the viewer to do activities, with your child. Another important thing to keep in mind when it comes to developing the listening skills / comprehension of your child is the very way in which you talk to them. So, how can we talk to kids in a way that they will listen to us? For starters, remember to always address your child by their name. And, it’s important to keep in mind that when you’re asking them to do something, you must speak to them like you would speak to an equal adult. Make sure to use kind words such as “please” and “thank you”. You should also keep in mind that telling your child that you would like them to do something works better than just a command. Focus on using a predominantly positive language while speaking to them. Instead of asking them not to do something, tell them what they should be doing instead. You must also make sure to keep your volume in check whenever you can. If your child is throwing a fit or yelling, wait until they calm down to talk to them. This way, when you do raise your voice for something urgent or important, the child takes you a lot more seriously. In order to avoid nagging your children to get any work done (because we all know that that’s barely effective), assign work in a more professional manner. You could make charts indicating the jobs/chores your children have to do, and allot a certain period for “job time” every day with weekly rewards and incentives. Another way of developing the listening skills of children would be to phrase questions in a manner that encourages and urges them to communicate. Ask them about the best part of their day rather than just whether or not they had a good day. Make your questions as open-ended as possible. All in all, the first and foremost thing to keep in mind when it comes to boosting your child’s listening skills, is that communication with your child is a two-way street. When it comes to communicating, you must always treat your child with the respect, consideration, and understanding that you would use with an adult your age. If you want your child to understand you better, you must make an effort to understand them better, too! Excellent guidelines to improve our children listening skills. Nice Information. Thanks for sharing such a good thing. I definitely work for it.